1- It is recommended to use a primer on ur eyelid before da eyeshadow is applied…the primer will ensure better application of da eyeshadow and a longer stay..
2-You can use powder eyeshadow or creamy eyeshadow, depending on each persons preference. Apply the primer to the entire eyelid and apply using a small make-up brush the lighter colored eyeshadow on the brow bone. Take the second lightest eyeshadow and apply the eyeshadow on the inner corner of the eye until about three thirds into the lid. Take the darkest colored eyeshadow and apply it on the outer corner of the eye working your way on the lid. Make sure you apply a little bit of the dark eyeshadow over the second lightest color. 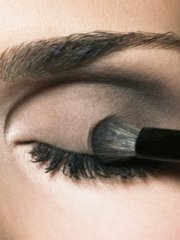 Blend the dark colored eyeshadow well into your crease by wiggling the brush back and forth. 3-Take a clean brush, a blending brush and blend the dark colored eyeshadow with the second colored eyeshadow to obtain a uniform transition from one color to the other. Apply more eyeshadow of each color if necessary. 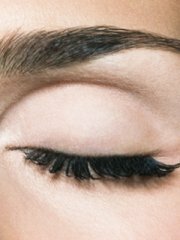 4-Take a liquid eyeliner draw a fine smooth line on your upper lid starting close to your lashes from the inner towards the outer corner of the eye. 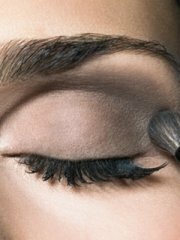 5-now apply the liner on the lower lid..
8- Curl your eyelashes and apply plenty of mascara on. 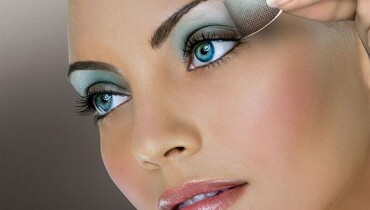 You can try false eyelashes for a more glamorous effect.. These were 8 easy steps to do all it very easily after this treat ur lips with matte soft Lipstick for best Smokey Look !! 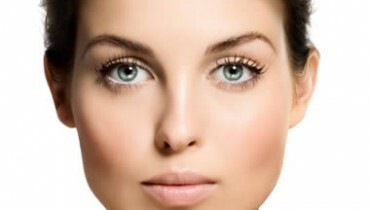 How to hide dark circles with makeup?